The most important events of the month. On February 7, 2019, a meeting of the board of the State Military Industrial Committee of Belarus (SMIC) was held. It was devoted to the results of the work of the organization in 2018. It is stated that Belarus has created its own production of small arms and intends to export it: in 2019 it is planned to begin the serial production of civilian firearms and ammunition. There is an intention to expand the production and military firearms and ammunition for it. Minsk Wheel Tractor Plant has a portfolio of orders for Russia for the next 6 years. The development of fire weapons, systems to counter high-precision weapons, mobility tools, UAVs, and combat geo-information systems are the priority. This year there is the task to advance in the creation of combat UAVs and small-sized high-precision aviation weapons of destruction. There will be some works on improving the short- and medium-range air defence systems, as well as on transferring of the main combat equipment of the air defence system to the wheeled chassis produced in Belarus. In 2018, the funds allocated for the implementation of the state defence order, were used 100% and the order was executed. More than 780 new, repaired and modernized models of weapons and equipment were delivered to the army. In 2018 SMIC organizations took part in 23 international exhibitions abroad. The export geography has expanded from 69 to 76 countries. The share of exports to the markets of the CIS countries (obviously, primarily at the expense of Azerbaijan) has increased, while the positions in the markets of Russia, the Middle East and Latin America are have been preserved. We have devoted a special material to the issues of foreign economic activity and the financial results of the SMIC work. The developments within the month. Throughout February, the integrated check of the army’s combat and mobilization readiness continued. This year one can’t speak about its special scope or novelty of the scenario. Traditionally mechanized and artillery units were engaged in marches, firing (including at night) and forced water barriers. Aviation was deployed at new airfields, and anti-aircraft missile units were moved to new areas. As far as can be judged, the only special feature of the event was the use of repair units and fuel services, staffed by military units called up for military duties from the reserve, to ensure the actions of the units involved. On February 1, 2019 the United States began the procedure for withdrawing from the Soviet-American Treaty on the Elimination of Medium and Short Range Missiles. Official Minsk reacted to the event with restraint. Obviously, as long as the Belarusian authorities expect that the situation will not move further than political statements and legal steps, Russia and the United States will refrain from deploying short-range and medium-range missiles in Europe. 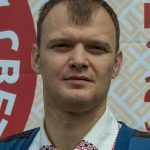 In February, the official Minsk again paid attention to the need to speed up the appointment of the Belarusian representative Stanislau Zas as Secretary General of the Collective Security Treaty Organization (CSTO) because of alleged problems with the organization’s operation caused by the absence of the head. On February 7, 2019 Mr. Zas said that he could not yet coordinate his meeting with the leadership of Armenia. At the same time, 5 other participating countries have already given their consent to his appointment. On February 15, 2019 the army received the first batch of armoured vehicles “Cayman”. 9 units were transferred to the Viciebsk 103rd Special Operations Forces Brigade. On February 17, 2019, Belarusian Defence Minister Andrei Raukou met with his Emirates counterpart Mohammad Ahmad Al-Bavardi Al-Falasi and Chief of the General Staff of the UAE Army Lieutenant-General Hamad Mohammed Tani Al-Rumeysi on the fields of the IDEX-2019 international defence exhibition in the United Arab Emirates. The issues of bilateral military and military-technical cooperation were discussed. The Belarusian delegation also got acquainted with samples of military equipment presented at the exhibition, discussed prospects for developing cooperation with the heads of other military delegations and the management of foreign defence enterprises. No details are given. At the exhibition Belarusian military industrial complex presented a wide range of products, including automated control systems for troops and weapons, fire weapons, UAVs, optics, radar and electronic warfare, communication systems and equipment, wheeled and tracked lightly armoured vehicles. On February 20, 2019, on the basis of the 51st Artillery Brigade, a one-day military training with the chairmen of the region executive committees and their deputies in charge of territorial defence issues, as well as military commissioners of the regions and Minsk was held. The artillery systems in service with the army and the territorial forces (TF) were demonstrated to the officials. On February 22, 2019 Lukashenka visited the Military Academy of Belarus, where he met with teachers and cadets. It is doubtful that impromptu can happen at such events, therefore the statements of the Belarusian ruler were of a public-political nature. The main audience for them is outside the Military Academy. Aliaksandr Lukashenka once again confirmed the inviolability of national sovereignty and rejected the possibility of losing it. It is necessary to maintain an appropriate level of discipline in the army and not to fall into the hazing. The reasons for deferment and exemption from military service will be reviewed. Including medical criteria suitability for military service in order to mitigate them. Lukashenka personally believes that the maximum number of youths should be involved into military training. Another thing is that the format of such training can be varied, including in the form of short-term courses for university students without interrupting their studies. Lukashenka expressed concerns about the possible deployment of medium and shorter-range missiles in Europe, which could destabilize the entire region. He made it clear that he did not trust the statements of the United States and NATO, considering them to be the culprits of a possible escalation. Belarus will continue to adhere to a peaceful foreign policy, which means not engaging in the current standoff in Eastern Europe. Minsk is ready for dialogue with NATO on the principles of parity, transparency and respect for Belarusian interests. On February 22, 2019 the traditional briefing of the Ministry of Defence of Belarus for foreign military attaches, dedicated to February 23, was held. Speaking about plans for international cooperation, the military department announced its intention to maintain the achieved level of cooperation with Russia and improve relations in the field of defence with Ukraine, Poland and Lithuania. From February 25, 2019, control trainings in the communications troops on the ability of the communications system to ensure command and control of troops in the preparation and conduct of hostilities in new areas began. The task of hiding the communication system as a whole was trained. The event was very ambitious: it involved more than 250 communication centres for various purposes (including satellite communications) and more than 3.5 thousand military personnel. On February 25, 2019 Belarus transferred four multi-purpose MiG-29 fighters to Serbia as part of military-technical support. The aircraft will be repaired at the Belarusian OJSC “558 Aviation Repair Plant” at the expense of the Serbian side. During the ceremony of transferring the MiG-29, the head of the Serbian defence department, Alexander Vulin, declared his country’s interest in certain types of products of the Belarusian military-industrial complex and the readiness to offer products of the Serbian defence industry. On February 26, 2019, a meeting of the Security Council of Belarus on the issue of changing the military draft system was held. It is planned to introduce benefits and preferences in terms of obtaining higher education and other for those who have completed urgent military service or service in reserve. On February 28, 2019 Aliaksandr Lukashenka met the Minister of Internal Affairs Ihar Shunevich. Among other things, the state of the MIA personnel was discussed. It is stated that “some units experience about 10% of staff shortage”. February was the month of the report of law enforcement agencies on the results of activities in 2018. Thus, last year the State Border Committee initiated 25 criminal cases on the facts of the drug trafficking across the border. In total, the border guards seized more than 410 kg (according to other sources — more than 450 kg) of narcotic drugs, which were mainly transported in transit through the territory of Belarus. This amount is 4 times higher than in 2017. The State Border Committee strengthens border guards in all directions, both through technical means and by increasing the number of border guards. In 2018, about 90 km of border control lines were built, including 46 km of barriers for their subsequent equipment with signalling means. Border guards detained 725 border violators, which is 21.6% more than in 2017. In total, border guards brought to justice more than 13 thousand people for violation of the law on the state border. 545 foreigners were illegal migrants, of which 457 people attempted to violate the state border. 40 channels of illegal migration were suppressed, 57 of their organizers and supporters were detained. On the facts of illegal migration and the illegal actions connected with it 126 criminal cases were initiated. 172 weapons and about 1.6 thousand ammunition were confiscated. In 2019, it is planned to increase the number of border agencies. This is due to the need to strengthen border security. The Ministry of Defence reported that in 2018 more than 1.5 thousand new weapons and military equipment were purchased for technical re-equipment of the army. The most significant (obviously, in terms of cost) were: the supply of the “TOR-M2K” SAM system, 24 units of 2B23 “NONA-1M” mortar and 2S12B mortars on the MZKT domestic chassis, the battalion set of upgraded BTR-70MB1, radio monitoring complexes, the Caiman armoured vehicles, radar “Protivnik-G”, UAVs (“Moskit”, “Superkam-100”, “Superkam-350”, “Busel-10”), automated jamming station R-934UM20, upgrading 10 tanks T-72 to level B3. More than 3.5 thousand units of weapons and equipment (including anti-aircraft missiles) were renovated. 83 types of weapons, military and special equipment were adopted to service. 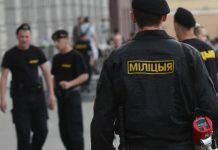 The Belarusian MIA reported on the results of the fight against illegal drug trafficking in 2018. More than 4.9 thousand drug crimes of which almost 2.5 thousand are associated with the sale of psychoactive substances have been identified. There is a significant increase in crimes committed by a group of individuals or as part of an organized group (in which there is a sustainable management and distribution of roles). The main efforts of the Ministry of Internal Affairs were aimed at the destruction of the organized structure of drug sales and the suppression of the drug supply channels to Belarus. In 2018, over a ton of drugs and psychotropics were seized from illegal trafficking as part of criminal cases; 7 clandestine drug labs were stopped; 42 premises adapted for the cultivation of narcotic plants were revealed. 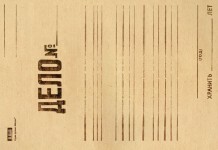 More than 90% of drug trafficking occurs through the Internet. In this connection, the Ministry of Internal Affairs initiated the blocking of more than 150 resources, 191 electronic money purses, through which the purchase and sale of narcotic substances was carried out. 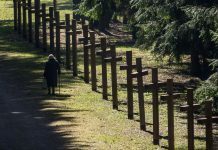 The MIA estimates that the number of drug users in Belarus exceeds 88.5 thousand people. The actual problem is their social rehabilitation. The Ministry of Internal Affairs in cooperation with the Ministry of Health and the Ministry of Labour is developing a project for the long-term rehabilitation of drug addicts. The prosecutor’s office continues to work to strengthen the rule of law and order among the military. On February 20, 2019, an operational meeting at the 72nd joint training centre in Barysau, chaired by the Deputy Prosecutor General of Belarus Aliaksandr Dubau, was held. The prosecutors, supervising directly the implementation of legislation in the army, prosecutors of the regions where the largest military units are stationed, as well as officials of the Ministry of Defence and military counterintelligence of the State Security Committee (SSC) took part in the event. They discussed issues of improving the effectiveness of prosecutorial oversight for the prevention of military crimes and offenses, the improvement of interagency cooperation. In Homiel, a meeting, chaired by the regional prosecutor Viktar Marozau on strengthening the rule of law among the military, was held. In addition to prosecutors, the event was attended by representatives of military commissariats, military counterintelligence of the SSC, the military commander’s office, the Investigative Committee, commanders of military units stationed in the Homiel region, and their deputies for ideological work. Issues of strengthening the interaction of the prosecutor’s office and military units when identifying and stopping violations of the law were discussed. According to the prosecutor’s office, among the most common causes of offenses in military formations are an insufficient level of educational work as well as low control by the command and competent officials. Here the representatives of the SSC military counterintelligence is possibly meant. The prosecutor of the Viciebsk region Vadzim Sushchynski visited the air defence unit in Polack, where he met soldiers, got acquainted with the conditions of service, spoke on the prevention of military crimes and offenses. At the same time, he checked the deployment of the equipment and the overall readiness to perform the tasks. Conclusions. Speaking about plans for the future, the SMIC does not specify the prospects for the domestic medium-range air defence system, which they promised to demonstrate in 2017. Official Minsk continues to adhere to the line of non-involvement in the confrontation between Russia and the West. Which is necessary for both maintaining a high level of cooperation with Moscow, and expanding the security dialogue with the West. The rhetoric of an ally for the Kremlin will continue and accompany attempts to normalize relations with the EU and the US. The development of Belarusian-Serbian cooperation relies on personal positive relations between the heads of the two countries Aliaksandr Lukashenka and Alexander Vucic. The parties proceed from the fact that they conduct in many respects a similar security policy. Plans for cooperation between the military departments of the two countries for 2019 provides for 39 joint activities of various orientations. This is a little bit fewer than the number of events planned by the Belarusian army with Russian colleagues. We can expect the expansion of the Belarusian-Serbian interaction also in the sphere of the military industrial complex. Regarding changes in the military draft system, no specific decisions have been made yet. We can expect increased responsibility for evasion from military service and the provision of such preferences that do not entail significant budget expenditures. It is unlikely that this “carrot” will be attractive to young people. The need for changes is caused both by the deterioration in the quality of those called up for urgent military service, and by the lack of a conscript contingent: for the first time in 2018, plans for conscription for urgent military service could not be fulfilled. With a high degree of confidence, it can be argued that the shortage of conscripts was formed due to an increase in the staff strength of the military and law enforcement agencies. Thus, the number of border agencies is increasing. And although it was previously claimed that this build-up would be made due to the redistribution of human resources within the military and law enforcement agencies, there is no evidence of this yet. A simple increase in the staffing of certain security agencies, and their simultaneous internal reorganization are possible. For example, by reducing one officer’s position, you can introduce two posts for soldiers and sergeants of military service. Judging by the fact that the problem is being considered at the highest level, the shortage of conscript troops is quite significant already or will become serious in the foreseeable future. Recall that in Belarus only 30% of young men are called up for military service. While in Finland — 70%. It should be recognized that the conditions for military service vary greatly, and this is not in favour of Belarus. The announced 10% staff shortage in the MIA is the average indicator. In a number of units directly involved in maintaining law and order, the shortage exceeds 20% for a long time. Contrary to the statements of the MIA command that there are queues of people willing to serve in the police, in practice everything is not so optimistic. Obviously, first of all the State Border Committee will strengthen the protection of the border with Ukraine. Regarding the number of weapons and ammunition seized, the department of traditional does not indicate how much of the seized belongs to the category of military weapons and ammunition. From the voiced data on the detainees for violating the state border of Belarus in 2018, it follows that about 1/3 of the violators are citizens of Belarus. Over half of the supplies of equipment and weapons for the needs of the Belarusian army account for imports, mainly from Russia. These are the most expensive imports (aircraft, UAVs, air defence systems). In December 2018, the Russian group of companies “Unmanned Systems” delivered another UAVs Supercam S100 and S350. 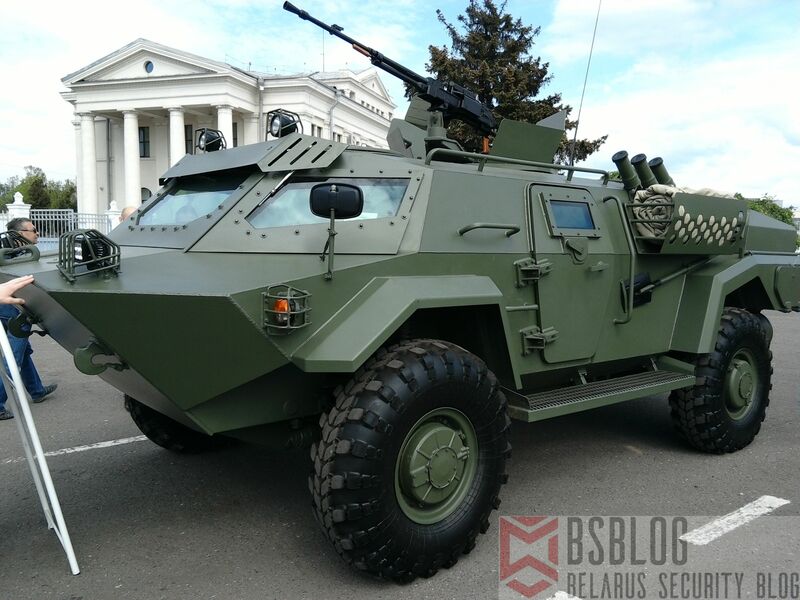 The latter units were purchased by the Ministry of Defence of Belarus for the second time. The statements of the Belarusian authorities about the problems in the activities of the CSTO in the absence of the appointed Secretary General look not serious. At least for the reason that the functions of CSTO Secretary General are performed by the representative of Russia. It is much more interesting, why Minsk so persistently promotes its own representative to the post of the formal head of the organization in opposition to Armenia. There is a desire to “punish” the new Armenian authorities for the removal of the previous regime, as well as indirectly support Azerbaijan in the confrontation with Armenia. But it is more important that the leadership of the CSTO desired by Minsk coincides with the election cycle in Belarus, when parliamentary and presidential elections are to be held. Taking into account the complications in the Belarusian-Russian political relations, the post of the head of the main security structure in the post-Soviet space can, on the one hand, increase (at least slightly) the awareness of the Belarusian authorities about attitudes in Moscow. On the other hand, it will serve as a guarantee that Russia does not use the CSTO as an instrument of intervention in Belarusian issues. In addition, the post of the CSTO Secretary General may also act as an instrument of pressure on the Kremlin, which is not interested in the collapse of one of its main mechanisms of influence in the post-Soviet space. A one-day military training of high-ranking officials is pure profanation. However, it is more interesting that during the event it was first announced that the TF was armed with the “Rapira” artillery anti-tank guns, for using which the preparation of TF began (apparently, as part of the army undergoing a comprehensive check). The gun MT-12 “Rapira” is a system of anti-tank weapons of the regiment/brigade level formations. Meanwhile, officially the TF of Belarus consist of companies and battalions. The entry of such artillery systems into battalion armaments, even in the form of a battery, seriously complicates the logistics and support of the TF formations, which must be carried out at the expense of local authorities. There may be a problem even with the transportation of such weapons. In addition, the presence of artillery requires a high level of professionalism TF commanders. The number of MT-12 available for the TF is also important: it is unlikely that there would be enough of them for each battalion. It is unlikely that the Ministry of Defence does not see possible difficulties. Most likely we are talking about the formation of artillery units at the regional level (territorial defence zones), and not as part of TF battalions (territorial defence districts), i.e. this is a certain centralization of the TF artillery. Following the centralization of artillery, TF may also be merged into larger brigade level formations. Earlier we devoted a separate material to this issue. Speaking about the visit of the prosecutor of the Viciebsk region to the military unit in Polack, it is worth noting that earlier the interest of the prosecutor’s office was limited to the law and order in the army as well as the living conditions of service. It did not affect the narrowly special questions of the readiness of troops for action. It is not yet clear whether this was a local initiative or a manifestation of general changes in the work of the prosecutor’s office on military issues.